We believe that core to any monitoring system is the ability to send out accurate alerts. 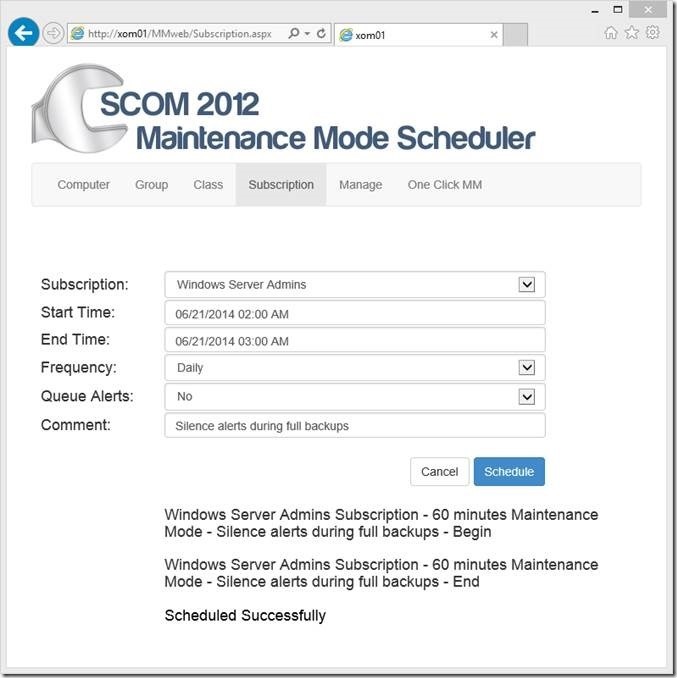 SCOM sends out many valuable alerts but will flood e-mail boxes and paging systems during maintenance windows. We set out to build a maintenance mode scheduler that anyone can quickly and easily use to prevent these floods of useless information. Easily access the new web based maintenance mode scheduler from any browser. End users will thank you at how easy it is to pick a computer, group, object, and even a subscription with a start time and end time. The app calculates the minutes for them and schedules a future maintenance window. The manage tab will make it easy to see and manage any upcoming maintenance windows and identify any gaps. The new integrated dashboards make it feel like the scheduling maintenance mode was always there. Schedule a group of Computers, Databases, or any objects in the group into maintenance Mode. 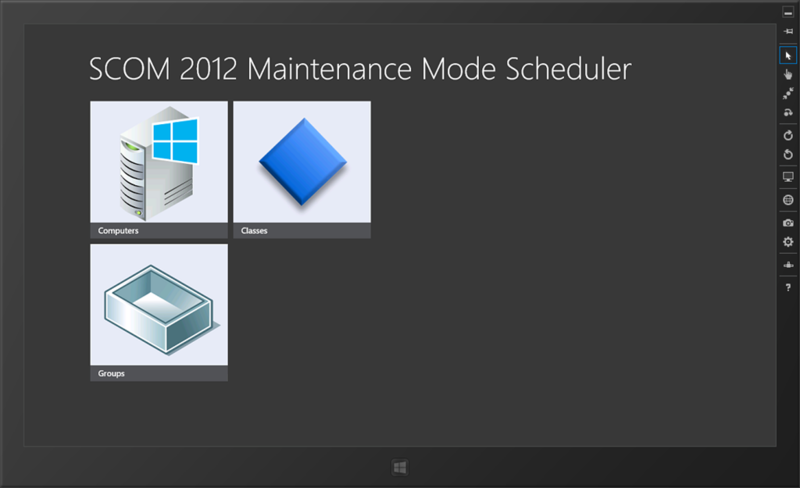 Another great feature is the ability to do one click maintenance mode from any server. 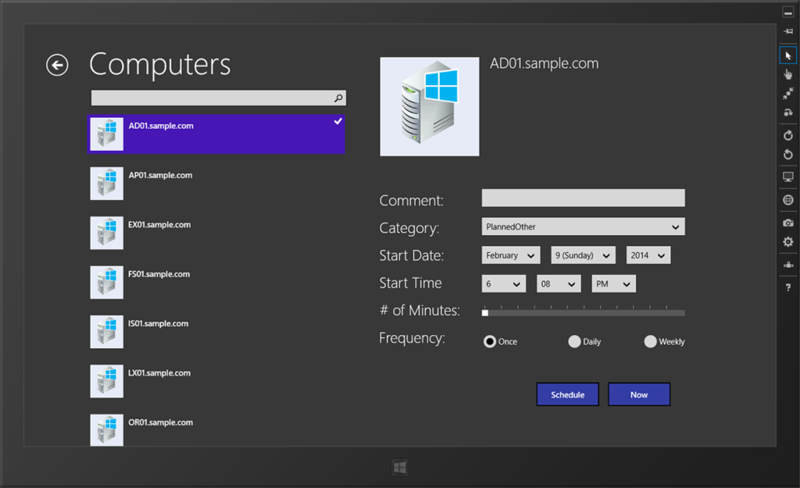 This means is you can place the same shortcut on the desktop of your all your servers. With one click, the IT administrator can put the server into maintenance mode. After the shortcut is clicked, the web page automatically detects what server you are on and puts the server into Maintenance Mode with no interaction. 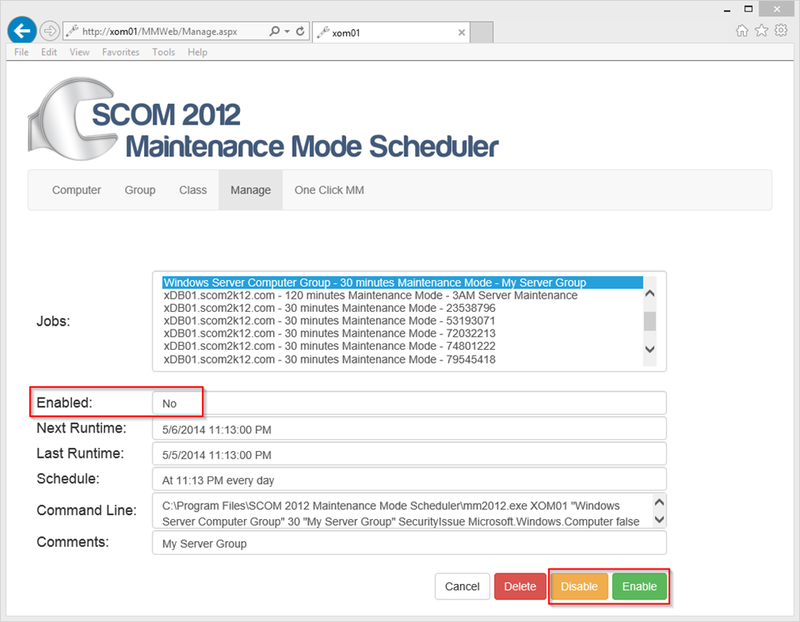 Most organizations only use the alerts from SCOM. 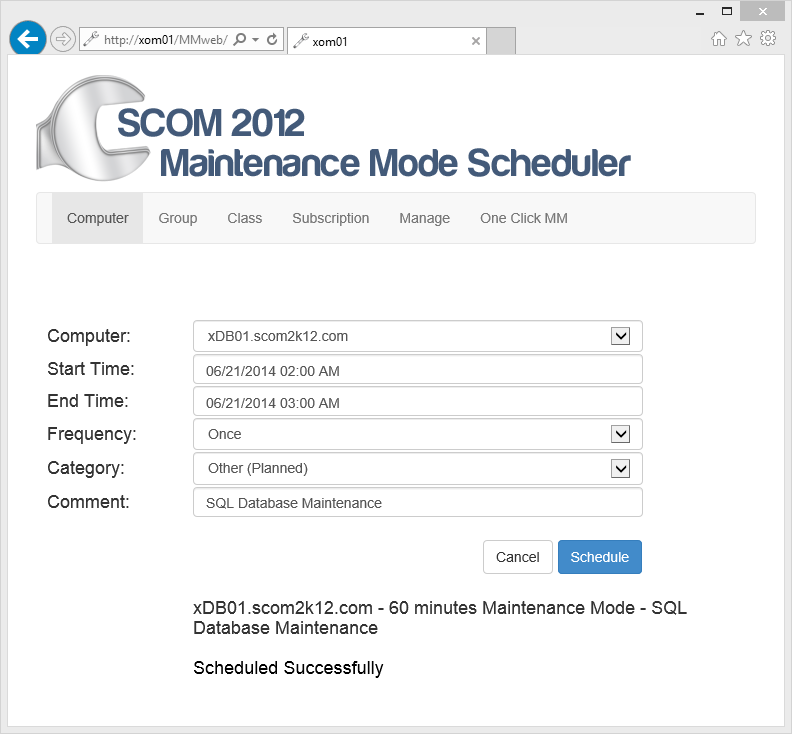 Now you can schedule your complex subscriptions into maintenance mode. You can choose to send the alerts that where queued up or discard them. The Windows 8 app can be download from the Windows App Store. It uses the existing the same infrastructure and web service as the Web based version. Yes. You can set anything in SCOM including third party MPs using classes. 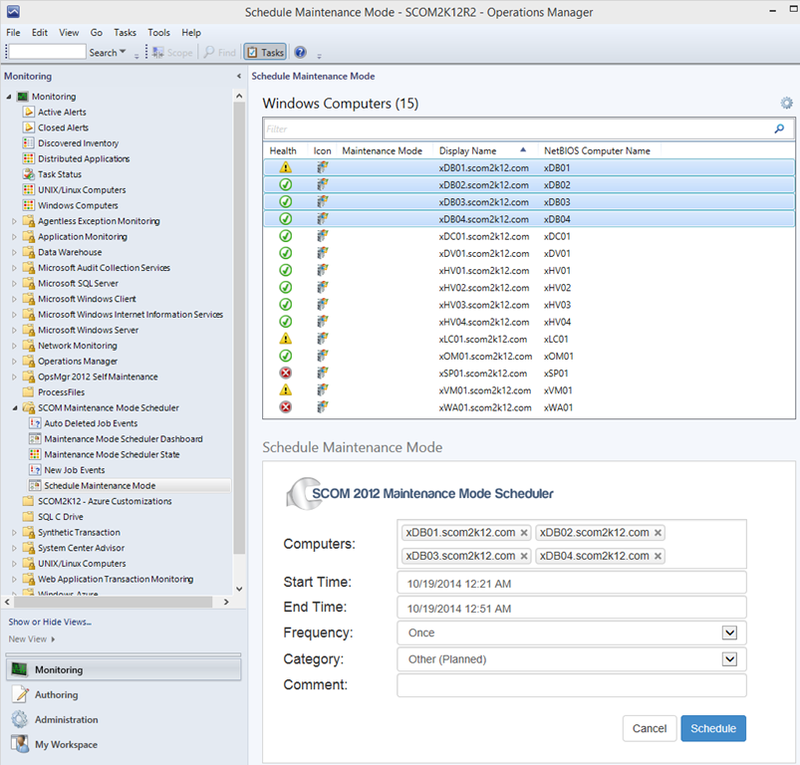 we are using SCOM2012R2 Management and Web Server on different Systems. We don´t want to install MM on our Management Server. 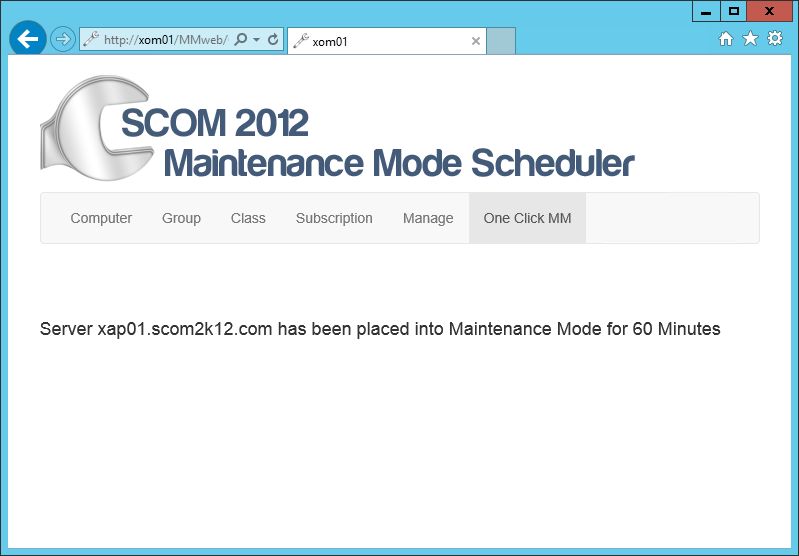 Is there a chance to run the product at our SCOM Web Server (only web server roule)? If you don’t want to install the console you can also work around that by following these instructions. Thank you Tim for such a wonderful product. 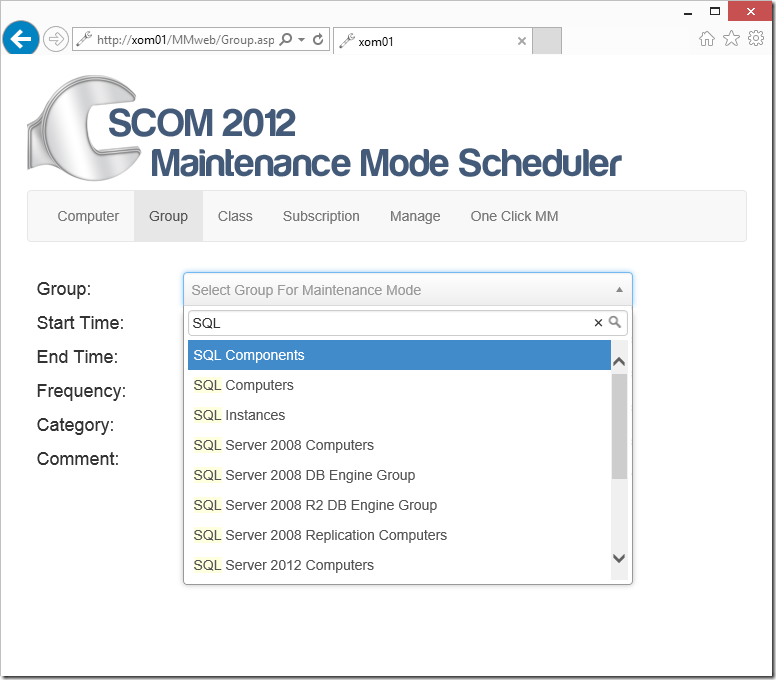 Not sure if you still monitor this…however, I installed SCOM2012MMSchedulerV8 and the web tool works fine…but in the console the dashboards and windows are blank (INSIDE the scom console). Is there something that is missing inside of SCOM (MP or something?) that would keep things from displaying? Hi Kevin Hittle, have you seen this section here? 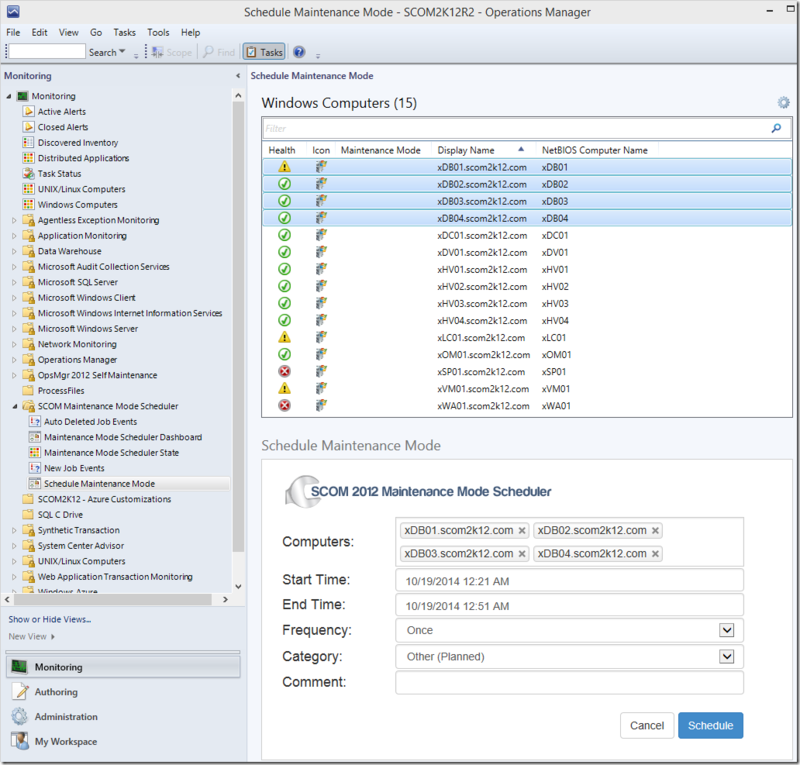 Will the maintenance scheduler work with SCOM 2016? For some reason, I can’t right-click and do Run As A Different User for the Win8 app (running on W10 Enterprise), other apps like SQL Management Studio, the SCOM console allow it. 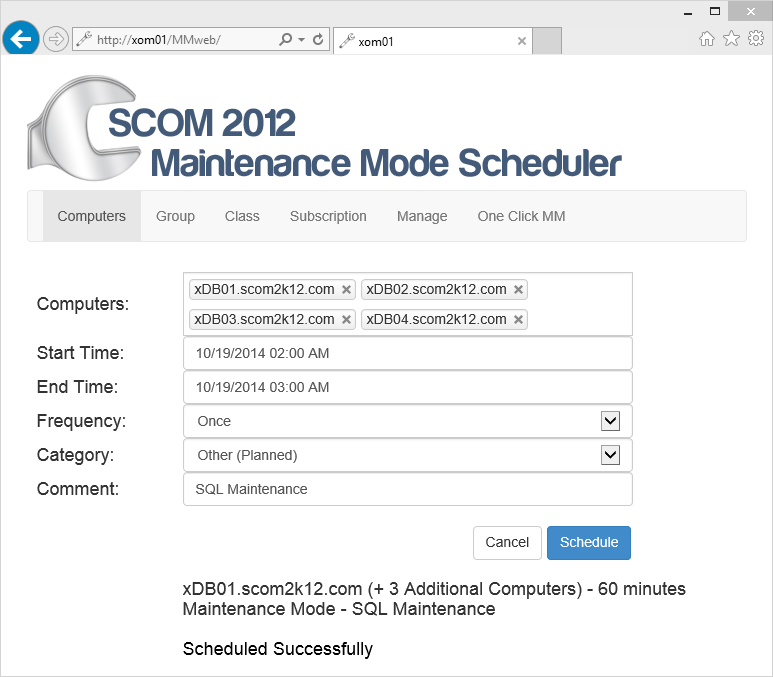 Hi Tim, Does the V8 Version for SCOM 2012 work with SCOM Management servers and the web-console(UR7) running 2k8 R2 Server OS?